“Congregations & Beyond” is a concept that Peter Morales introduced to us a little over a year ago. There’s a study guide. There’s a video. There’s a Facebook group dedicated to exploring the concept and keeping the conversation going. This blog has posted on it before. And yet, there are many of us still trying to wrap our heads around it. We’re still wondering what our home congregation might look like in a Congregations & Beyond context. So today, we’re going to use a different part of our brain. Get out the markers and/or crayons. Draw a big circle on a piece of paper. Draw a big square overlapping it like a Venn Diagram with a corner of the square smack in the middle of the circle. In the square list the three most exciting places to be in your wider community. And then list the three places that break your heart. 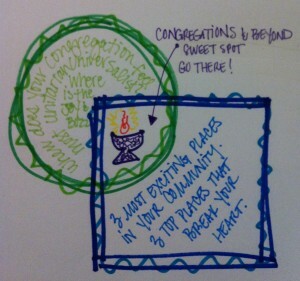 That overlapping place in the middle is the Congregations & Beyond Sweet Spot. Go there! If your congregation has a choir that blows the roof off with energy and beauty, and you live in a city whose homicide rate breaks your heart… Perhaps your congregation is called to start a community-wide Peace Choir, show up at places of violence and sing that space back into grace. The possibilities are endless. It requires that we collectively show up in authentic and aligned ways, and be in dynamic relationship with the wider community. 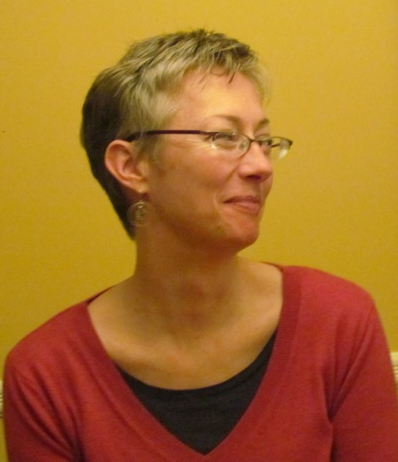 You may be a Congregations & Beyond community and you didn’t even realize it. And here’s an offer. 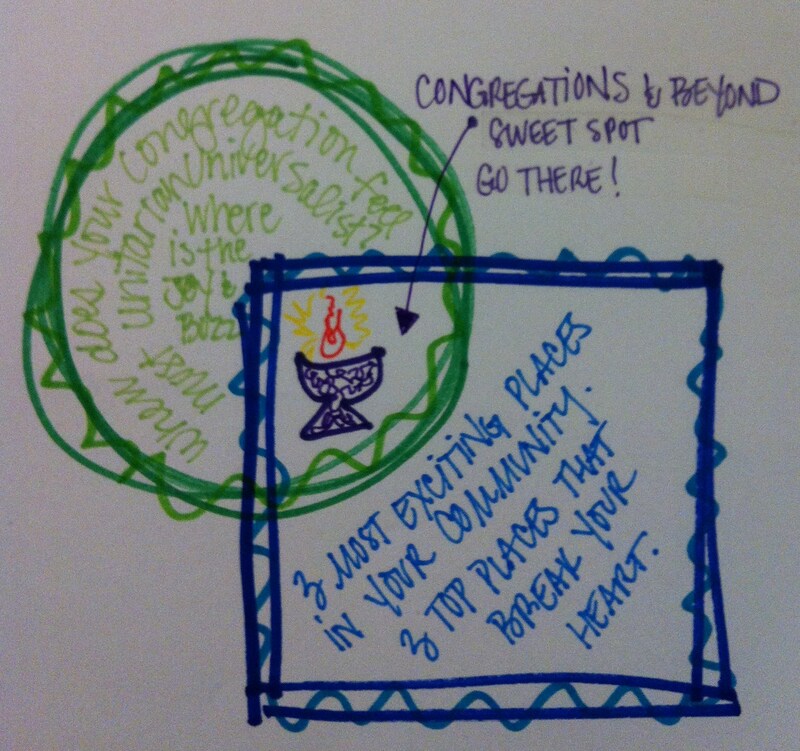 If the leaders of your congregation commit to doing my little art exercise above, and you still can’t see your Congregations & Beyond Sweet Spot, contact me for a consultation. I see possibilities and abundance all around. Growth Strategist Tandi Rogers’ office looks more like an art studio with room for work. She delights in color coding data and maps with demographics. Venn Diagrams have a special place in her heart. And she travels with colored markers. This is such a great article. Since I first read this article, I’ve led this exercise with the staff at my church as well as with our vocal octet. Thanks! Thanks, Tandi. 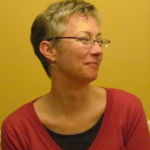 This provides a tool for congregations and other UU groups to use as a means of innovation and creativity in developing their ministries and programs.